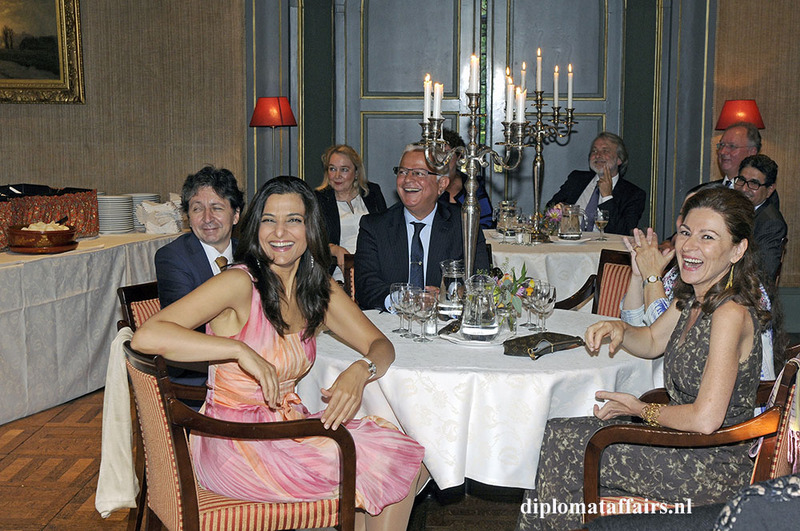 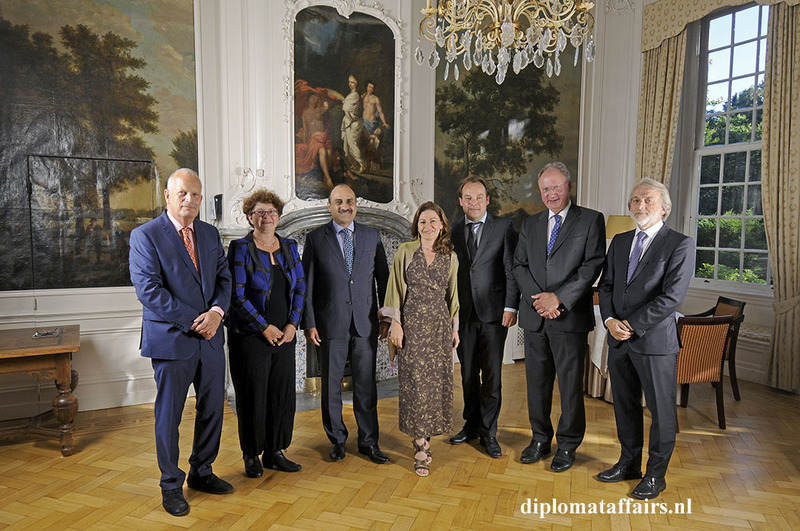 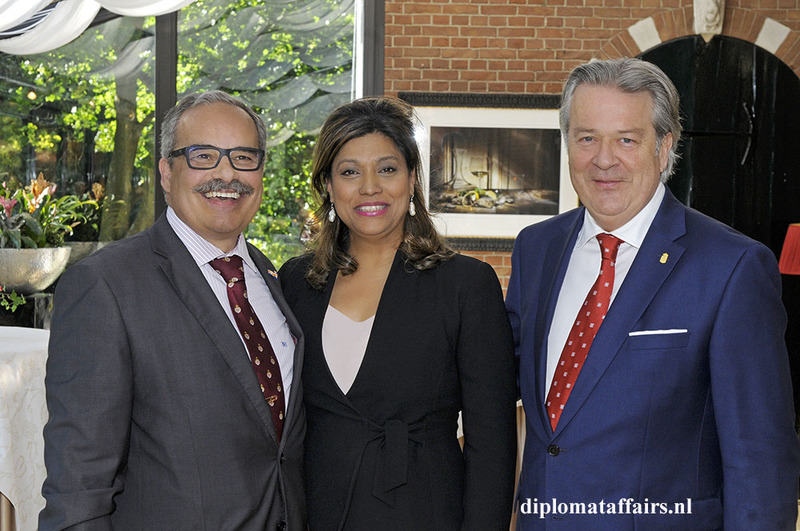 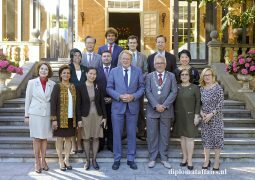 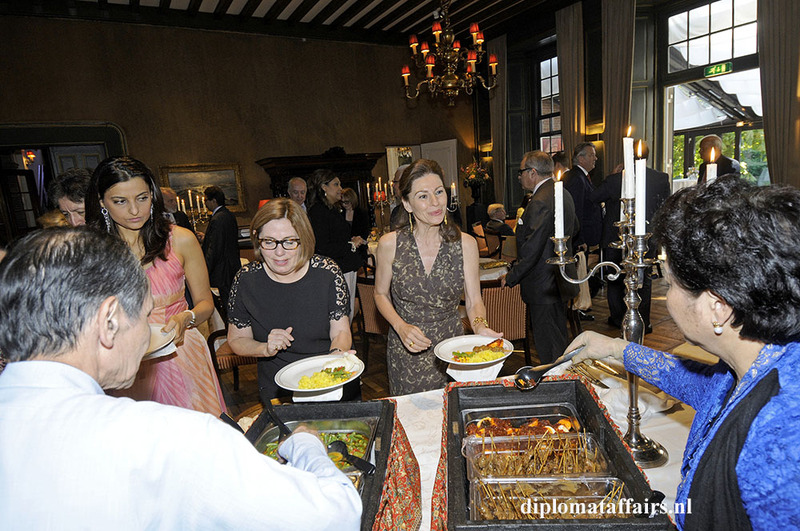 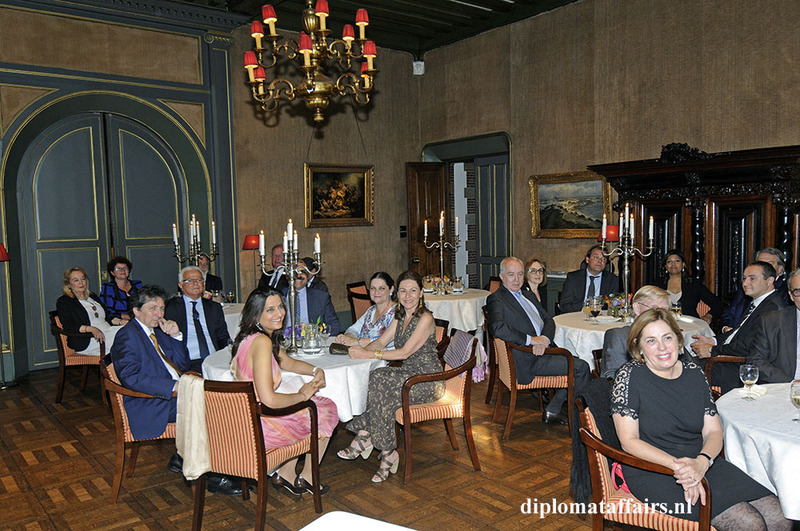 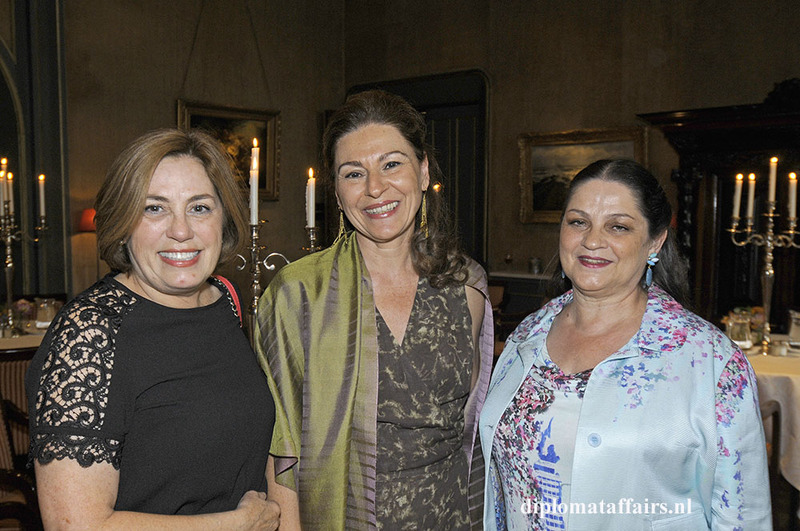 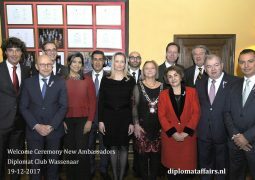 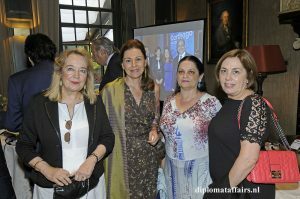 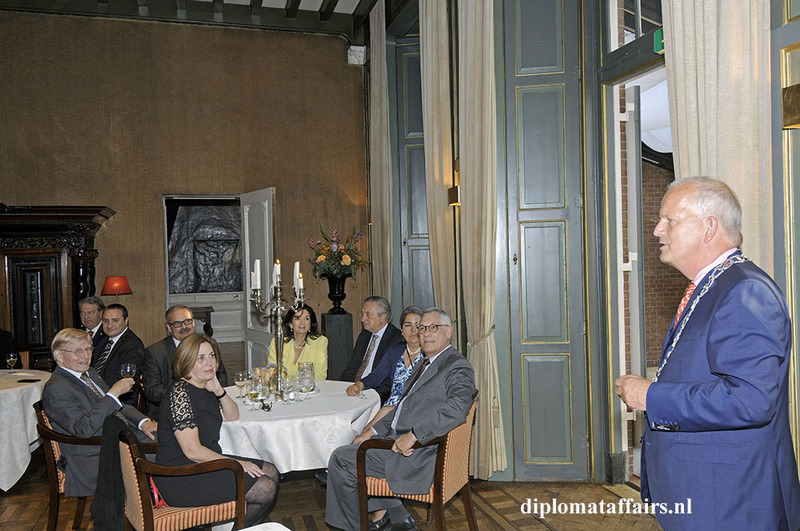 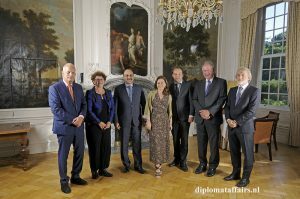 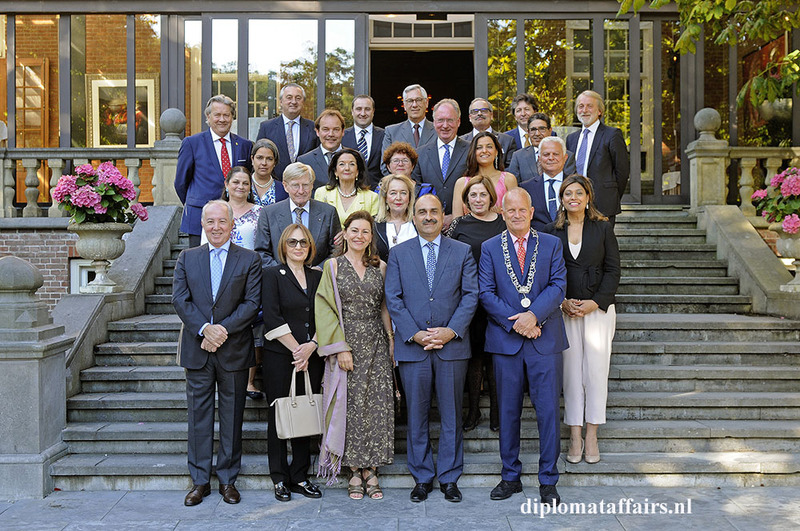 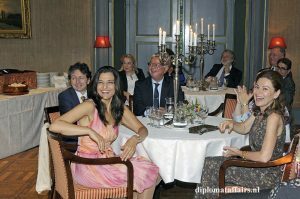 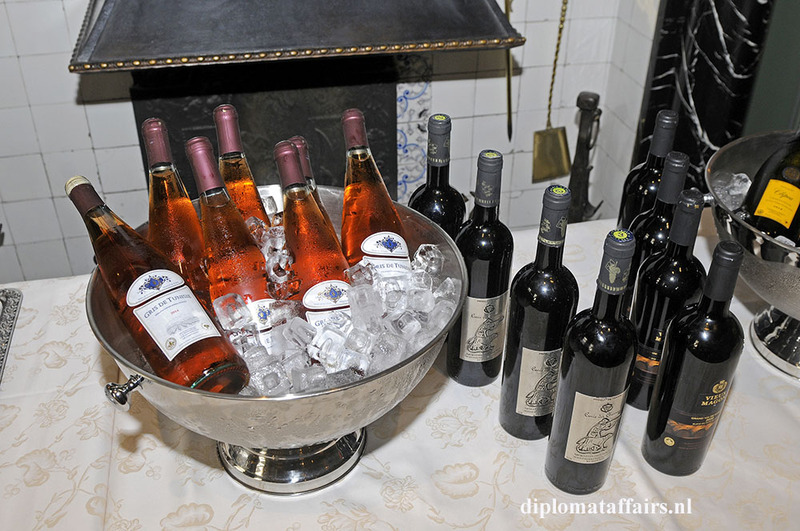 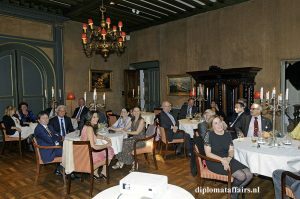 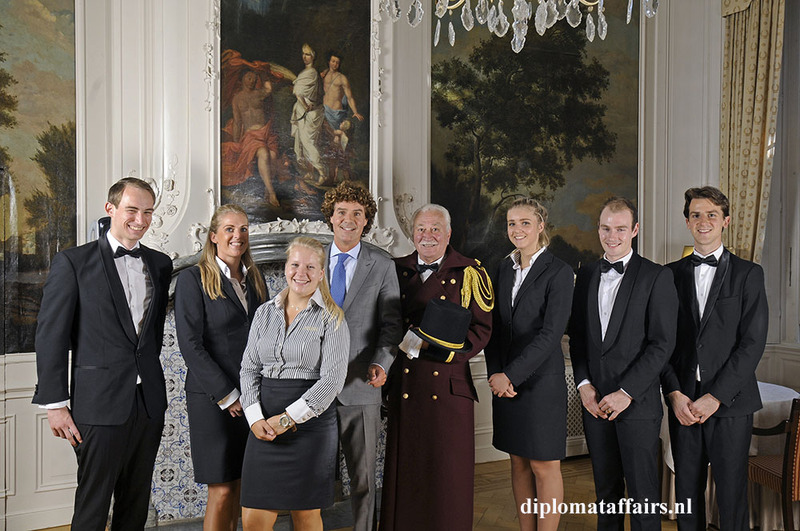 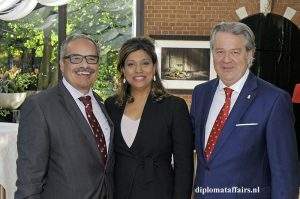 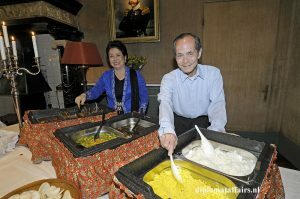 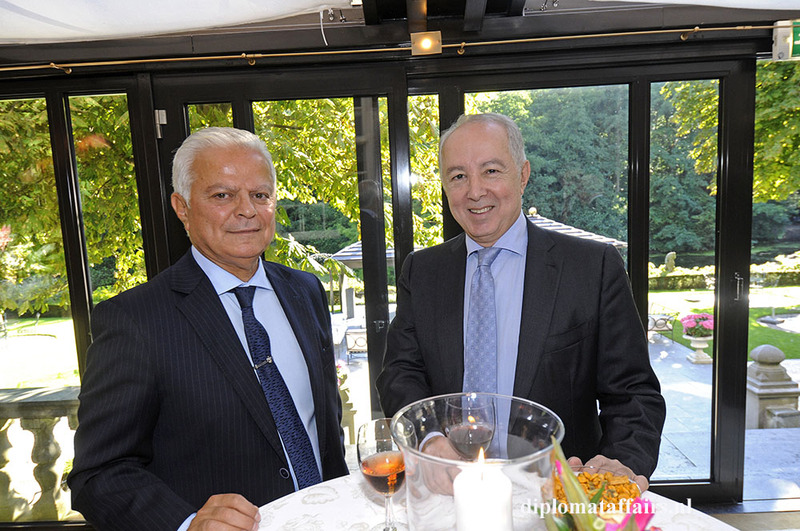 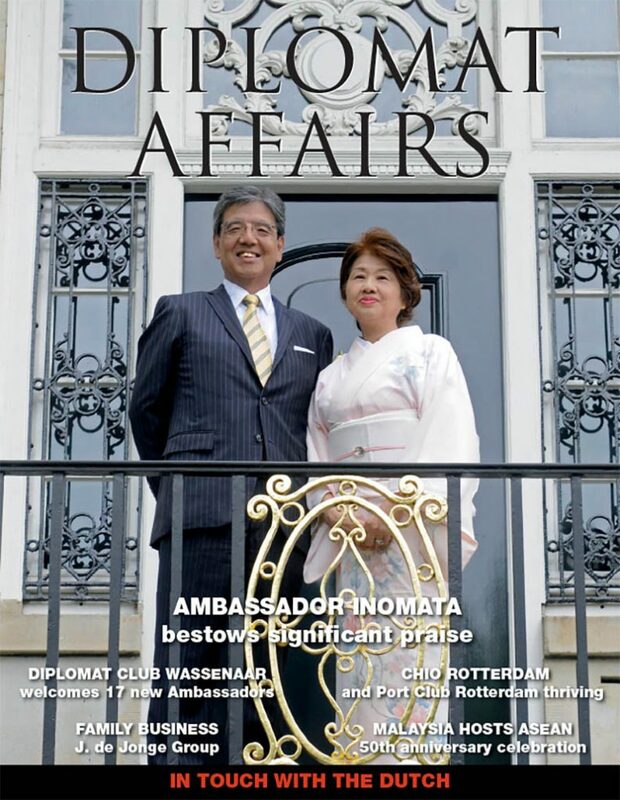 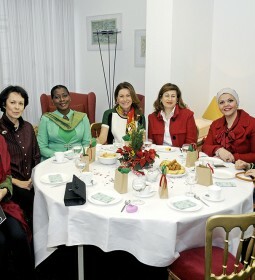 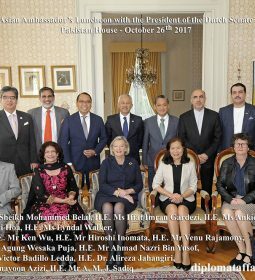 A special dinner was hosted at Diplomat Club Wassenaar by the president Mrs. Shida Bliek to bid farewell to H.E. 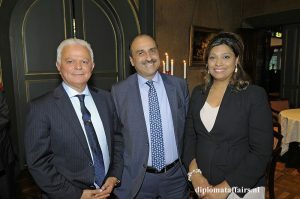 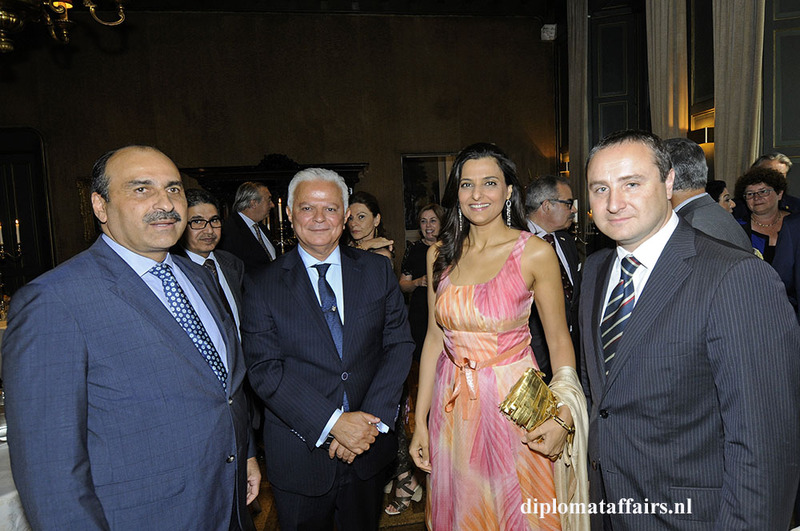 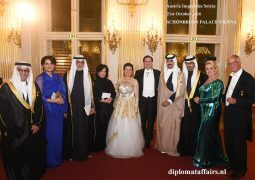 Mr. Karim Ben Bécher, Ambassador of Tunisia and his charming spouse Mrs. Rym El Memmi Ben Bécher. 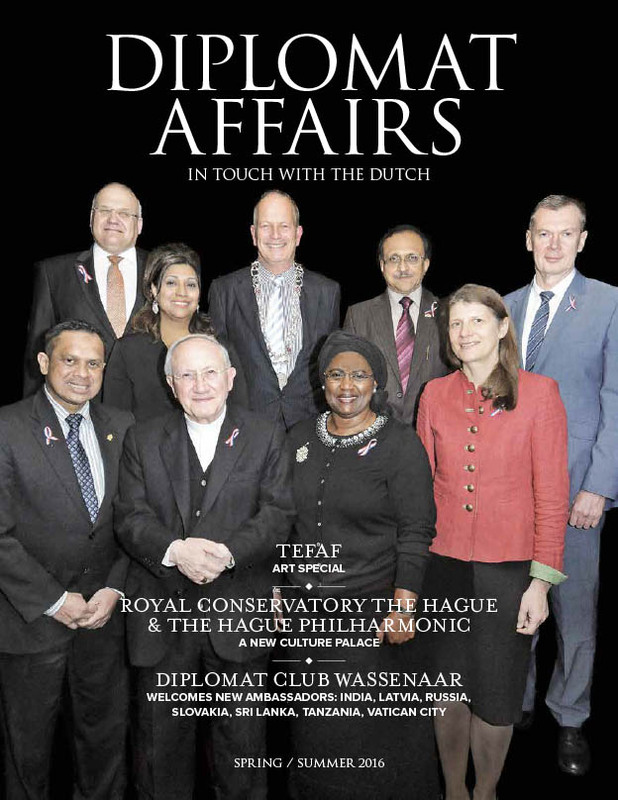 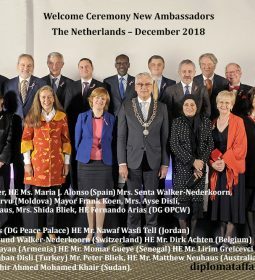 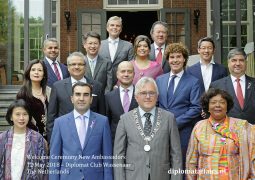 In his speech the Mayor of Wassenaar, who serves not only as the Patron of Diplomat Club Wassenaar but also as Chairman of the Supervisory Board of the National Museum of Antiquities Leiden, emphasized the importance of the contribution Ambassador Ben Bécher made to the spectacular exhibition Carthago, which thrived at the museum for 5 months. More than 130.000 visitors attended. 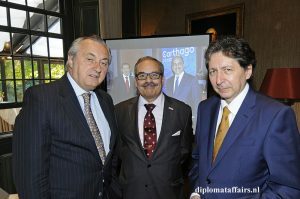 The Carthago Exhibition was an indisputable success, not only in terms of number of visitors, but also in terms of quality and number of pieces. 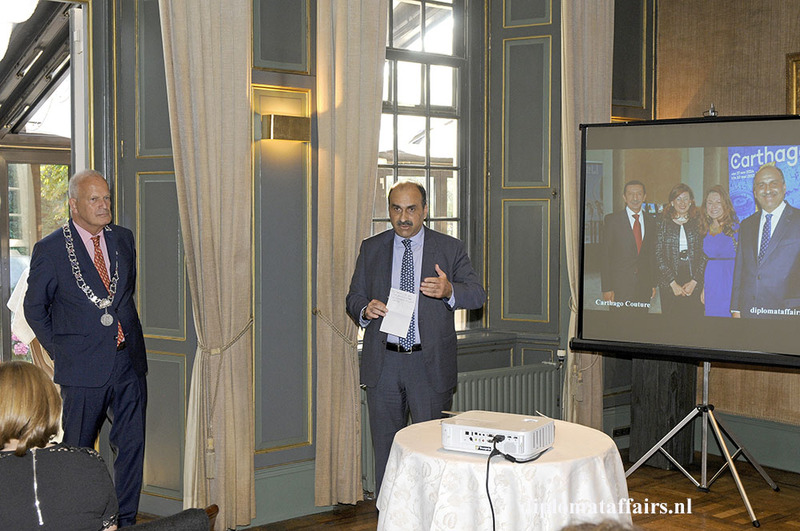 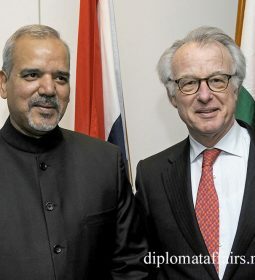 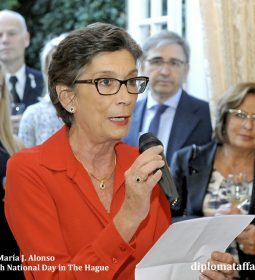 The Mayor praised the tireless efforts and enthusiasm of the Ambassador to promote and highlight his country through organizing many events, in particular the celebratory event at the Peace Palace The Hague for the Nobel Peace Prize 2015, awarded to the Tunisian National Dialogue Quartet for its decisive contribution to the building of a pluralistic democracy in Tunisia in the wake of the Jasmine Revolution of 2011. 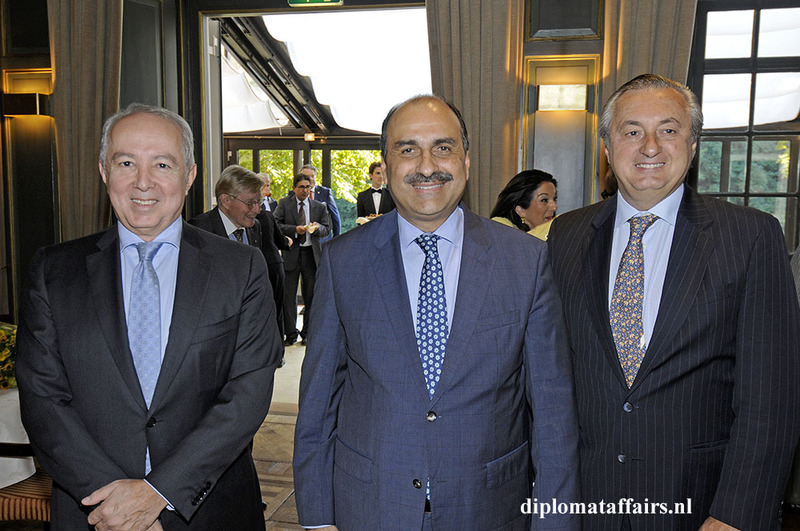 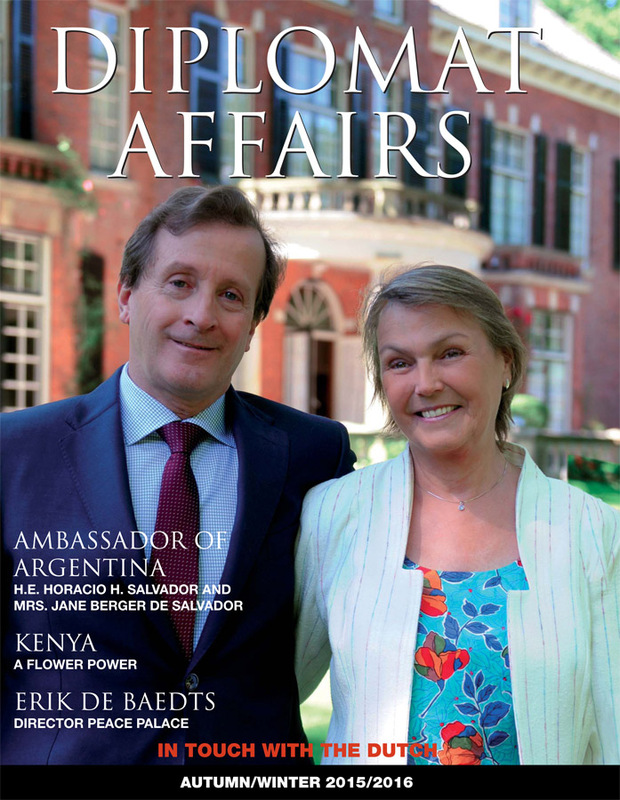 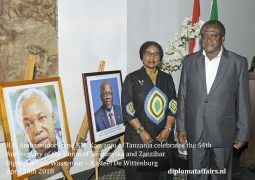 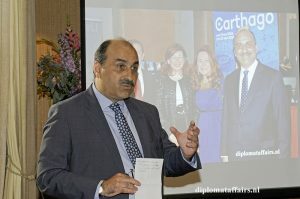 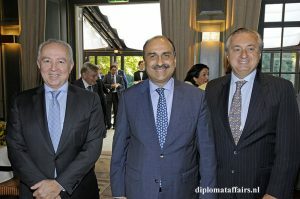 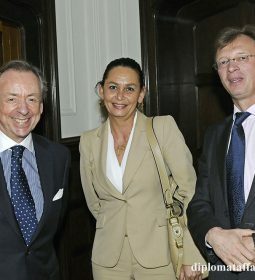 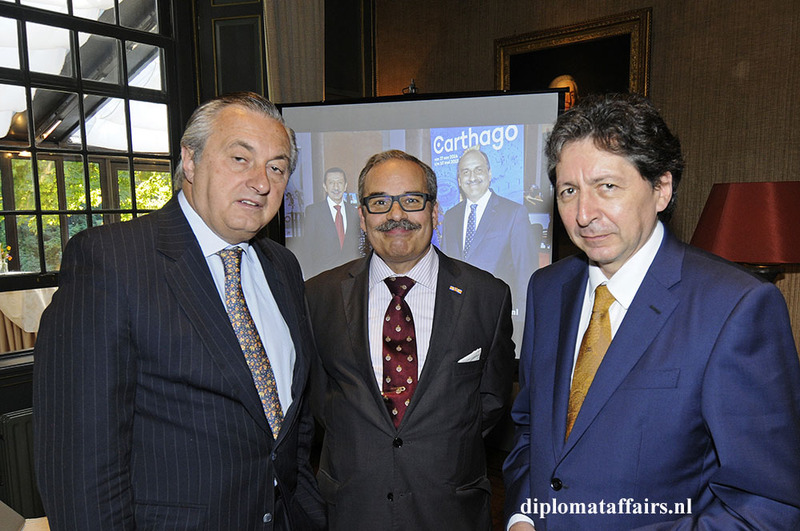 His Excellency Karim Ben Bécher gave a warm speech and was delighted to see the photos of the events mentioned on big screen, courtesy of Diplomat Affairs Magazine. 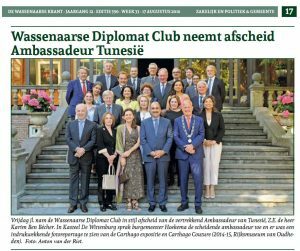 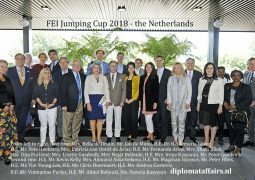 He expressed what a wonderful time Mrs. Rym El Memmi Ben Bécher and himself had had in the Netherlands and how they are looking forward to enjoying all the friendships they made along the way. 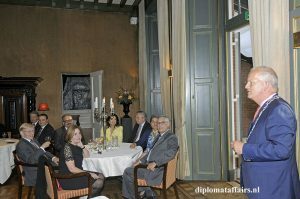 Colleagues and friends came to say farewell, among them Prof. Dr. Pieter Ruud Halbertsma (Curator Greek and Roman Antiguities), Prof. Dr. Pieter Keurs (Department Head of collections and Research), Mr. Wim Weijland (Managing Director) and Mrs.Tanja van der Zon (Project Curator) from the National Museum of Antiquities Leiden. 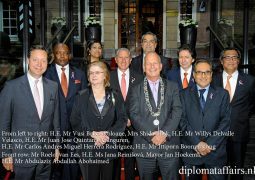 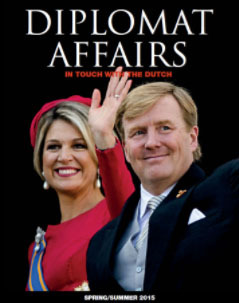 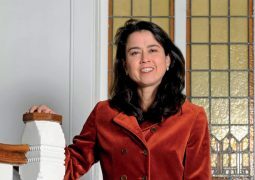 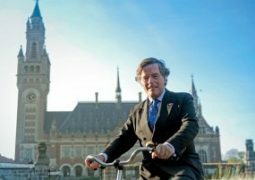 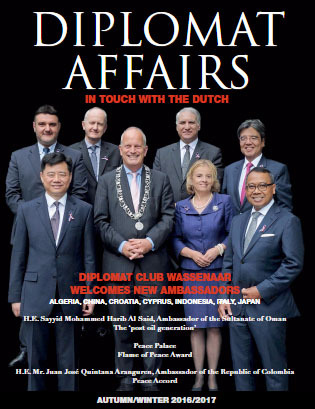 Next Welcome to the Netherlands Your Excellencies!